The day after the first coat day came the first snow day of the season. 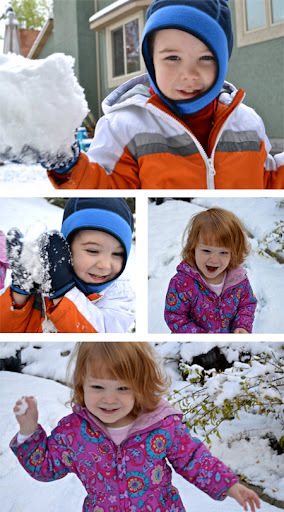 The snow has been slowly melting all weekend, but I had to share some of our snow fun from last week. 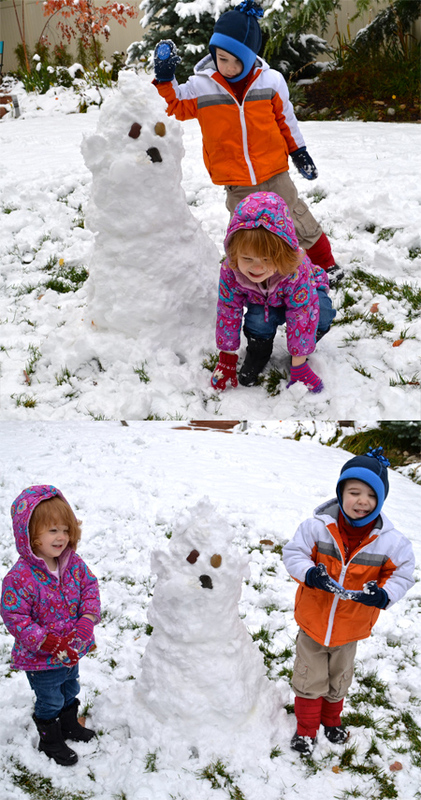 After the kids had their fun trying to pelt me with snowballs, Buddy and Jellybean decided to build a snow "ghost." It just seemed appropriate for Halloween.